Shawky Fahel is a Waterloo-based entrepreneur who owns and operates the JG Group of Companies. The JG Group provides services that involve: general contracting, custom woodworking, warehousing logistics, property management, and startup ventures. Shawky attended Waterloo Lutheran University (WLU) in 1968 and has lived in the Kitchener-Waterloo area ever since. 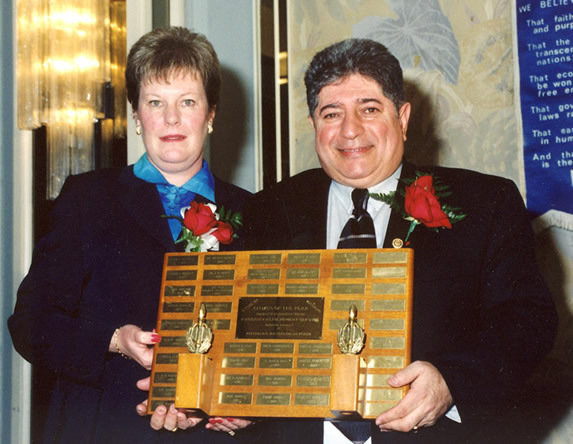 In the year 2000 Shawky was awarded "Citizen of the Year" by The Twin City Jaycees of Kitchener-Waterloo for his outstanding community involvement, philanthropy, and business success. Shawky is a dedicated Rotarian who holds a Double Paul Harris Fellowship and has won various awards for humanitarian involvement and community leadership. He is the recipient of the Father Thomas P. Brennan Humanitarian Award for outstanding leadership in building a healthy community. Most recently, Shawky was named one of the "Waterloo 150.". The Waterloo Public Library, with a grant from the Waterloo Regional Heritage Foundation, has led a special project to showcase individuals who have shaped the Waterloo community over the past 150 years. The program, aptly titled, Waterloo 150, features profiles of the 150 most influential Waterloo citizens past and present. Please click here for complete Biography. Please use the form below to contact Shawky.